M&A is back!! Kraft bids for Cadbury! 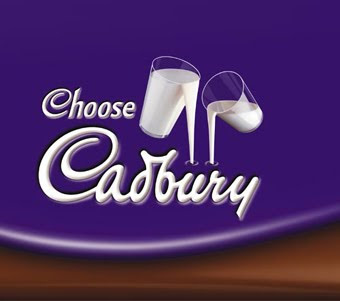 Kraft bids for Cadbury at a 37% premium! I very much enjoyed meeting you this morning. As I explained, we believe that the combination of our companies would provide a compelling value proposition for both our shareholders. As analysts and industry observers have long speculated, our two great companies are highly complementary and a combination makes a great deal of strategic and financial sense. We believe that now is the time to pursue a transaction as a result of the significant opportunities available to both of us. We look forward to engaging in constructive, friendly discussions and working toward a positive outcome on a recommended basis. We have great respect and admiration for Cadbury plc ("Cadbury"), its employees, its leadership and its proud heritage. We have also taken note of your recent performance and the successful ongoing implementation of your Vision Into Action program. However, we believe that Cadbury's prospects, ability to fully realize operational efficiencies and capacity to invest are necessarily constrained given its limited scale and scope relative to larger global competitors. We see few catalysts for sustained future value creation for Cadbury as a standalone entity. In contrast, we have concluded that we can strengthen both our companies by bringing them together, enhancing our worldwide scale and scope, and capitalizing on significant opportunities to build a global leader in the food and snacking industry for the benefit of all of our respective stakeholders. In so doing, we are eager to build upon the success of your iconic brands and strong British heritage through increased investment and innovation. 31% over Cadbury's share price of 578 pence at close yesterday. We would also point out that this price is beyond any price at which Cadbury's shares have traded since the demerger. The Possible Offer would provide your shareholders with both value certainty and the opportunity to enjoy the significant value upside in the combined entity's attractive growth prospects and considerable synergies. Kraft Foods would also offer a mix and match facility under which Cadbury shareholders could elect, subject to availability, to vary the proportions in which they would receive cash and new Kraft Foods shares. $625 million annually through increased operational efficiencies(1). What is Cadbury's defense? PacMan! Two years ago, Cadbury had discussions with Hershey Trust regarding a buyout a month before then CEO Lenny, of HSY retired. After that, we then had the spike in milk prices, and Hershey missed numbers, and the stock has consolidated in the high 30's since January 2008. HSY is cheap, undervalued, and if two years ago the Hershey Trust was considering selling to Cadbury, why wouldn't that option still be on the table? 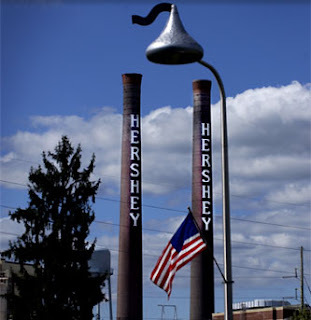 Warren Buffett, is familiar with Hershey's ever since he ran away to Hershey, PA with two of his childhood pals, when he was 13 so he has had a longtime interest in this company. When Mars bought Wrigley for $80 a share, Buffett purchased a stake in the company for $2.1 billion. The other financing for the deal came from Goldman Sachs and JP Morgan. Buffett, of course, lent Goldman Sachs $5 billion, and also got $5 billion of warrants to buy Goldman at $115. In retrospect, a sweet deal! The Goldman advisor to Buffett on that sweet deal, Byron D. Trott, left Goldman's Chicago office to start his own investment fund, BDT Capital Advisors earlier this year. Buffett was an investor in his firm. If someone wanted to buy Hershey's, they could just make a call to Omaha, Nebraska, or to Byron Trott first. When Trott left Goldman, this was the news from the FT.
Mr Trott, who also serves as vice-chairman of investment banking, had weighed forming his own fund for several years, and wanted to begin the venture with enough of a time horizon to see BDT’s investments blossom, the person said. He relied heavily on the counsel of his frequent client, Mr Buffett, who himself prefers to invest in family businesses, people familiar with the matter said. When Mr Buffett restricted certain Goldman executives from selling their shares in the firm as part of his investment agreement, he did not include Mr Trott on the list. Now think about that for a moment. Trott left Goldman in March of 09; Buffett invested in Goldman, with Trott in late September 08 yet he could sell his shares in Goldman. No handcuffs! His moved was already planned when Buffett did the Goldman deal. When Buffett talked about Mars acquisition of Wrigley's, he had this to say when he was asked if those companies were recession proof. If Cadbury wanted to do a PacMan defense, that's how they could do it. They could take Hershey's, and sell a piece in it to Buffett, just like Mars did when they bought Wrigley's. And the deal could be done in a hurry. Maybe Cadbury should choose Hershey's! Funny, yesterday I revisited MAN (German truck Co) wants SCANIA (Swedish truck Co) for about 10 billion euros. That was just the beginning of a hostile takeover saga with lots of twists that lasted well into late 2007. Those days look like they're back! seems like lots of M&A this past week...what other potentials could be targets besides HSY and similar to FACT? did you have a hunch that they might be taken over? Paul McCartney and "Her Majesty"
What a finish in Minnesota! Thank goodness Michelle has a hair clip! What happened to the AIG outrage? "Buy it on the headline"
Which came first--"The chicken or the egg?" A true Phillies fan! And an even better Dad! How desperate are the shorts in Gannett? The Green shoots were spotted! Susan Boyle sings the Stones "Wild Horses"
When being so broke becomes funny!! When will Wall Street tell us the tooth?